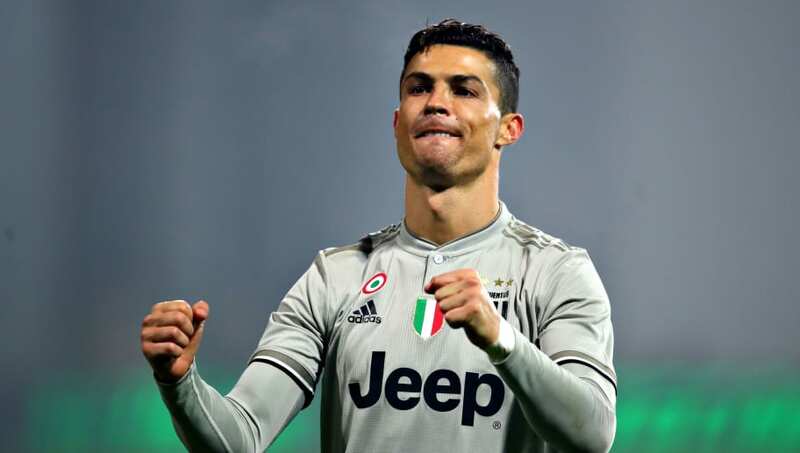 ​​Juventus superstar Cristiano Ronaldo is inching closer towards rival and ​Barcelona star Lionel Messi in the race for the European Golden Shoe after scoring yet another goal for the Italian giants against Sassuolo. The Portugese striker scored Juventus' second goal during their 3-0 win, which was his ninth consecutive goal away from home. The 34-year-old is now only behind Giuseppe Signori, who netted in 10 consecutive away games between May 1992 and February 1993. Ronaldo now has 18 goals to his name this season, moving him to joint second-place in the European goalscoring charts, along with Paris Saint-Germain striker Kylian Mbappe. Sergio Aguero of Manchester City is too pushing his way up the list after his taking his tally to 17 goals, following his hat-trick against Chelsea. Despite not scoring against Athletic Bilbao on Sunday, Messi is still leading the charts with 21 goals in 21 games in the La Liga and is three ahead of his nearest rivals in the European Golden Shoe standings.